Lucasfilm has revealed a brand-new Star Wars animated series titled Star Wars Galaxy of Adventures that is set to premiere online this week, The Hollywood Reporter has confirmed. You can check out the official trailer for the new series below! Star Wars Galaxy of Adventures is a series of short cartoons that will air on the new Star Wars kids portal at lol.disney.com, as well as on the YouTube channel Star Wars Kids this Friday. Six shorts will be released simultaneously with plans to release more episodes through December. 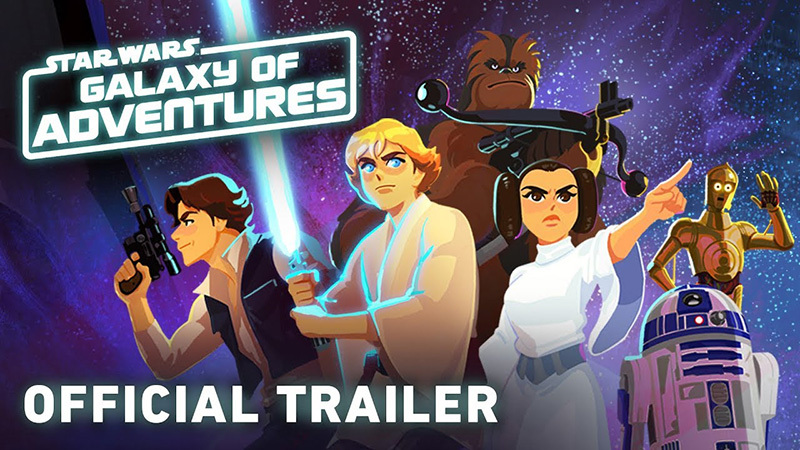 “With Galaxy of Adventures, we wanted to craft something that allowed parents to help their kids take their first step into a much larger world whether they were ready to show their kids the films or wanted to find new ways to explore the content,” added James Waugh, Lucasfilm VP of franchise content and strategy. Star Wars Galaxy of Adventures will serve as the beginning of a year-long plan by Lucasfilm to celebrate the Star Wars brand, with episodes scheduled to follow throughout 2019 leading up to the theatrical release of Star Wars: Episode IX on December 20, 2019.